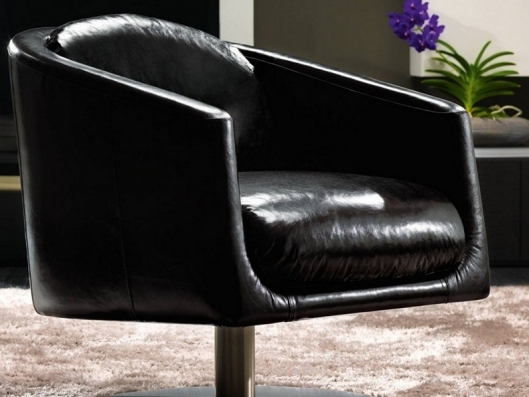 A design with rounded shapes for Liu, nice swivel armchair with wrapping lines. 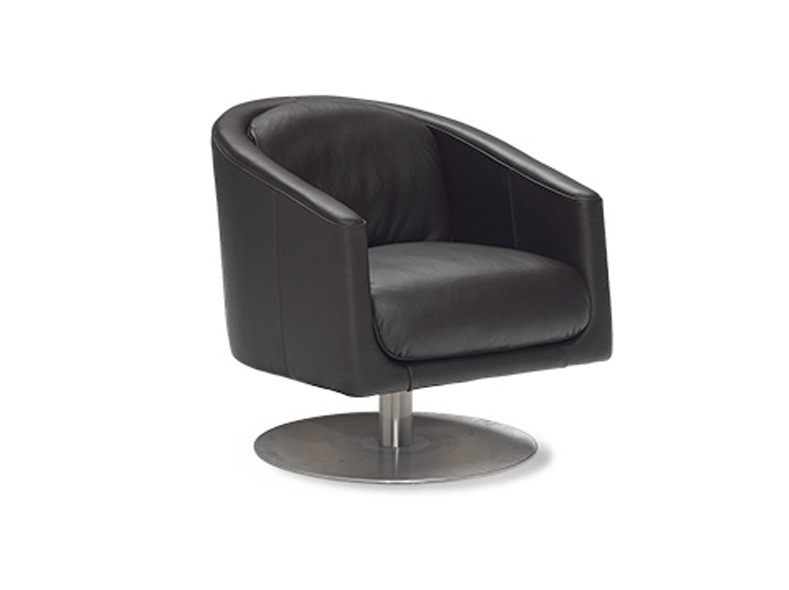 A timeless style and extreme comfort for an armchair with a large circular metal base that accompanies the seat giving a look almost floating. With its strong design it is perfect both in domestic and professional environments. 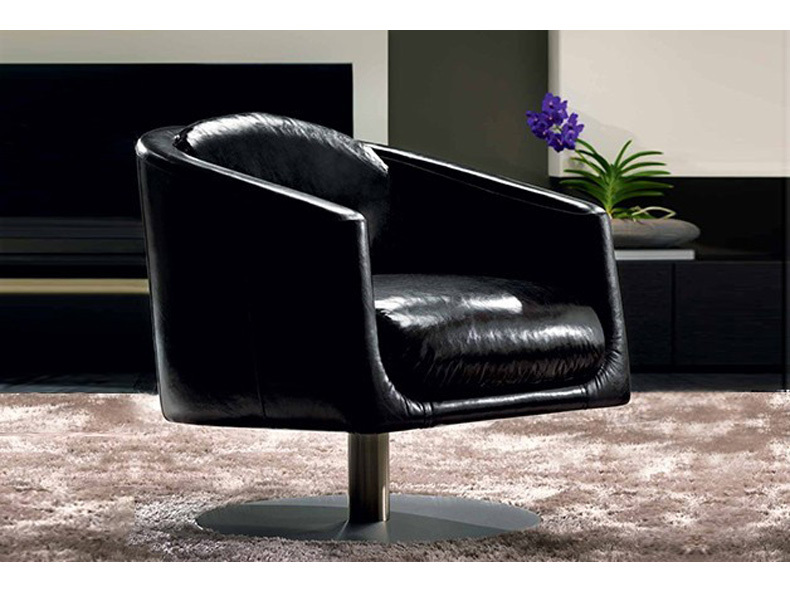 Comfort: The seat and back have a layer of foam that gives a great additional comfort.